That means no gun mods or hacks are necessary on your part to make the gun work correctly. 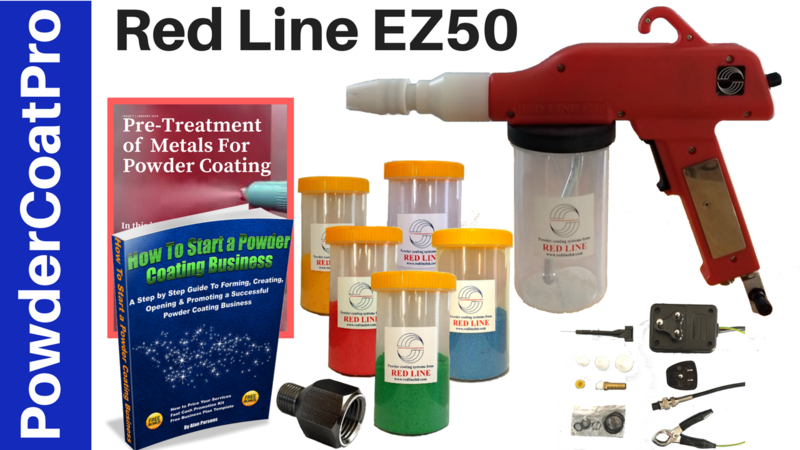 With the Red line EZ50 all you do is plug it in, add powder and air and you’re ready to go. In fact… one of the nicest features of this gun is its smooth and accurate powder control. 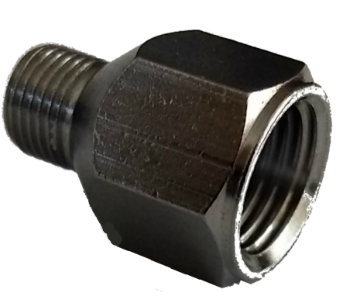 With a simple twist of a knob you can adjust Kilo-volts (Kv)Amperage and powder flow all the way from a whisper-thin 5KV powder stream all the way up to a full on category five 50Kv storm cloud of powder. That’e enough power to coat and re-coat your projects with ease. 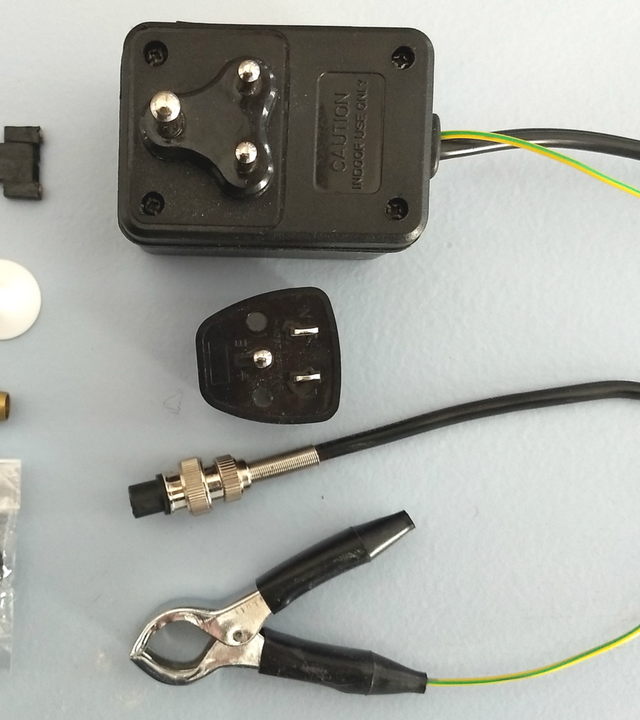 And you’ll never have to deal with any of those annoying Foot Pedals, Hand Switches or boxy controllers either, because Red line powder coat machines have all the electronics and air controls built right into the gun. They also come with an extra-long 10’ cord and grounding cable allowing you to reach 60% farther than any other brand machine. 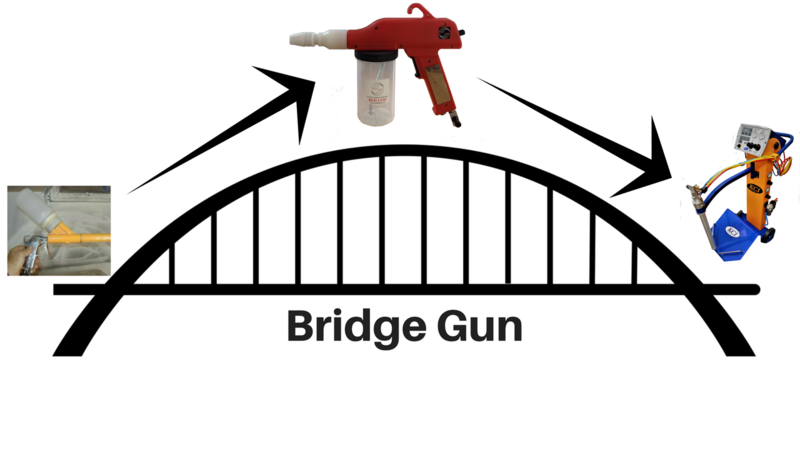 For the numbers minded coater and business owner, Redline guns are the perfect “Bridge Gun” because they effectively bridge the money gap between cheap starter level guns (which aren’t suitable to run a business with) and full-on commercial coating machines that can cost you thousands more. Perhaps that’s why more than 50% of our customers use Redline guns in their own businesses. 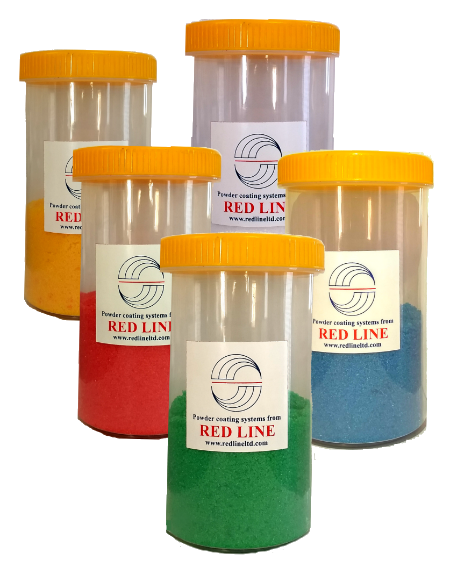 Color changes are fast and easy too with the Redline EZ50 system. All it takes is a quick blast of air to clean out the inside of the gun and you’re ready to shoot a new color in under 1 minute. 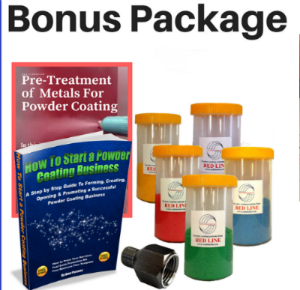 Each powder cup holds a full pound of powder and screws on or off in seconds. “Miles Ahead of Eastwood, Harbor Freight and Craftsman guns. 5 out of 5 stars Great gun for the price – easy for switching colors. Excellent buy! Served me well so far and I use it daily. Gun works great!!! Absolutely love it!!! Great shipping!